Tim Holtz layering stencils are perfect for your favorite inks, paints, pastes, stains - so many ways to use them with so many paper crafting projects. 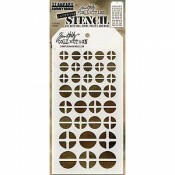 Each layering stencil is designed in a tag shape with a hole at the top to keep them together and organized with a Cable Binder Ring. 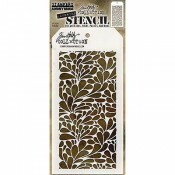 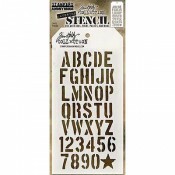 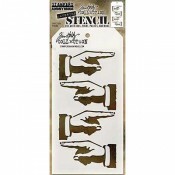 Use stencils with ink, paints, stains, even stamps - so versatile, so easy to use.